Service Relationship Management makes sensor data actionable, improves uptime and helps companies realize the potential of IoT investments. One need look no further than automaker Tesla for a great example of the power, potential – and, yes, pitfalls – of the Internet of Things. For years, automobile software updates have required a physical connection from the vehicle to a PC or other specialized type of equipment. Drivers would inevitably need to take their cars into the shop for repairs. It’s a big reason why vehicular recalls have spiked significantly over the past few years – and have become a significant pain point for both drivers and automakers, both of whom suffer from the time, cost, and inconvenience it takes to rectify software-related issues. Tesla has found an elixir for this pain. Recently the company began issuing over-the-air (OTA) software updates to fix suspension issues and overheating chargers in its vehicles. That’s a win/win for both the company and its customers; drivers continued on their way, hassle-free, while Tesla saved the time and expense associated with in-shop repairs. Unfortunately, this is not an end-all panacea. Some things still need a manual touch, as evidenced by the fact that the company was recently forced to issue a voluntary recall for a parking brake problem. Other industries are subject to similar IoT benefits and drawbacks. For example, although the value of the IoT healthcare market is expected to reach $163 billion by 2020, there will always be the need for a doctor and patient connection, as well as repair specialists skilled in the ways of fixing malfunctioning medical equipment. And, although construction original equipment manufacturers (OEMs) like John Deere, Caterpillar, and others have invested in IoT and OTA updates, like the ones implemented by Tesla, they are not broadly available. After all, asset software updates cannot be updated while in use, for risk of failure, and brake jobs and oil changes must still be handled in-person. This means that the repair process will always involve multiple people – whether in person or virtually. Those people need to communicate and access data from connected sensors in order to take the required actions. Ensuring that the data is accessible and shareable among all members of the service value chain can be challenging. For instance, critical alerts can sometimes be erroneously categorized as email spam and never even seen by managers. There’s also the matter of whether or not the information is easily found, in a format that can be quickly used or even up-to-date or complete. All too often, the needed information is still paper-based. In short – knowing that there an issue (or about to be an issue) does not ensure efficient service management or increased uptime. In many cases, while this data can be an enhancement to the service management process, alone it fails to provide a sustainable business value and limits the ability to capitalize on IoT investments. Even in industries where IoT has quickly become a core part of asset and equipment purchases, companies are struggling to fully leverage the information. In the commercial asset world, alerts from connected assets typically trigger a series of phone calls, emails, paper shuffling, and other time-consuming coordination efforts geared toward matching up the right people and information to address a problem. The chaotic nature of this process undermines the efficiencies promised by IoT deployments. Organizations looking to truly maximize their IoT investments must utilize a closed-loop repair process that incorporates diagnostics (connected sensor data), asset service history, maintenance status, and other pertinent data, ensuring that information is directly actionable in the context of the service management process. Service Relationship Management (SRM) is an application platform approach that allows organizations to make connected sensor and other required data actionable, in the context of a specific service event for a specific asset, thereby optimizing service value chain efficiency. SRM captures information from multiple applications including IoT, provides a complete picture of all relevant data, and provides context to the data, far more than simple alerts are able to supply. Connected asset and sensor data is integrated into the repair process workflow and immediately accessible by the appropriate members of the service value chain. OTA updates, such as the ones issued by Tesla, can be incorporated into the SRM process as well. SRM platforms can facilitate the scheduling, communication, and delivery of OTA updates, while capturing the entire process and recording it as part of the asset’s history. As proven by Tesla, IoT offers enormous efficiency benefits. However, companies are only going to be able to truly realize those benefits if they are able to take the information those sensors provide and use it to improve their asset management and maintenance processes. SRM provides an ideal platform upon which to realize these goals. It provides an effective means of capturing, sharing, and deciphering critical data so that organizations can maintain asset uptime and maximize their IoT investments. Michael Riemer is vice president of product and channel marketing at Decisiv. 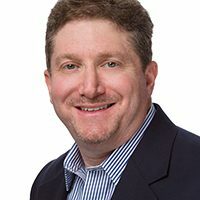 He is a successful serial entrepreneur with more than 26 years of product marketing and business development experiences with mobile, security and vertical market software solutions, including seven years running products at Nextel.